5 Easy & Creative Teacher Appreciation Gift Ideas - So Festive! Saying thanks to the teachers in your life has never been easier with these fun and creative Teacher Appreciation Gift ideas. Perfect for Teacher Appreciation week, end of school, or anytime throughout the year, these teachers gifts are easy to put together! Are you looking for simple ways to say thanks to teachers, but want a teacher gift that is different than the typcial gift? You’re in luck! With our TEACHER APPRECIATION BUNDLE , we make it easy for you! FYI…In the USA, Teacher Appreciation Week is May 6-10, 2019. 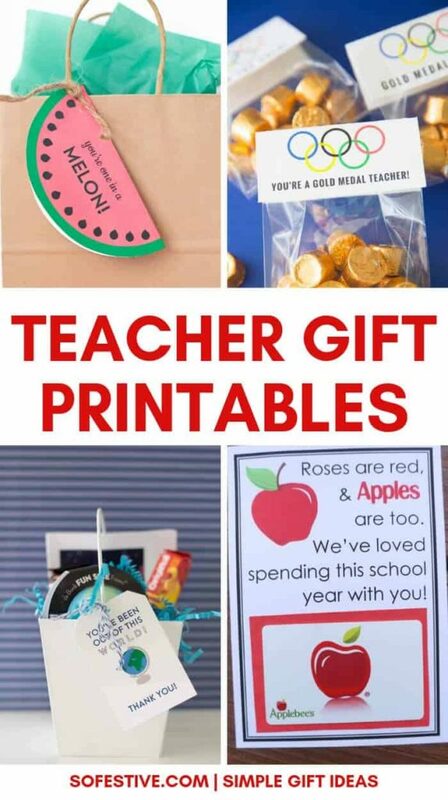 These gifts are great for Teacher Appreciation week or the end of school year! 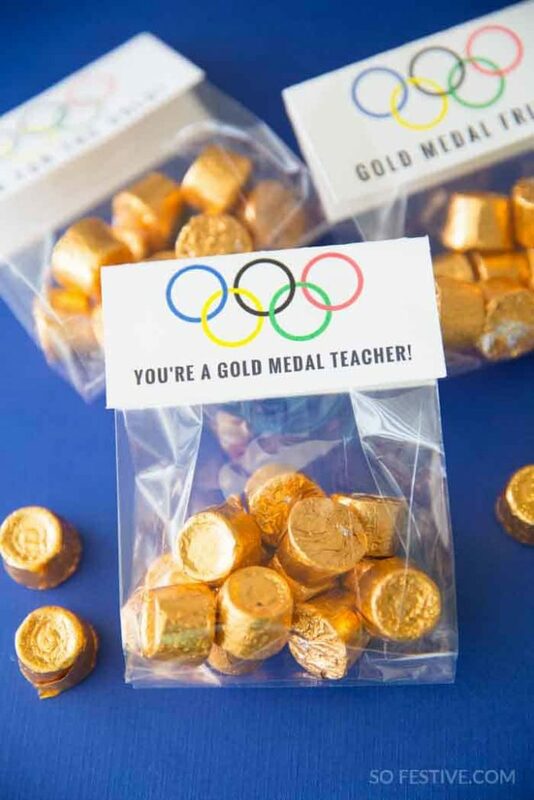 It doesn’t need to be the Olympics to let your teachers know they deserve a gold medal! Give them Rolos or anything Gold! Nothing says summer like watermelon! 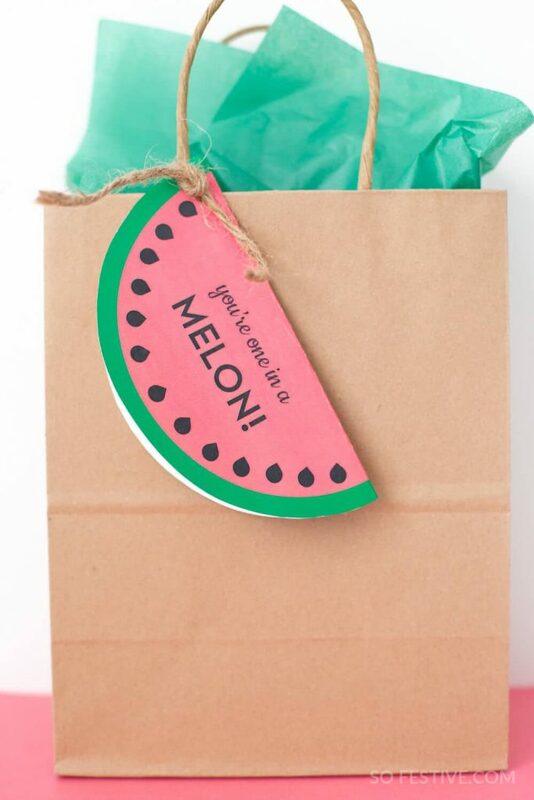 Put together a watermelon themed gift with these fun watermelon gift details. 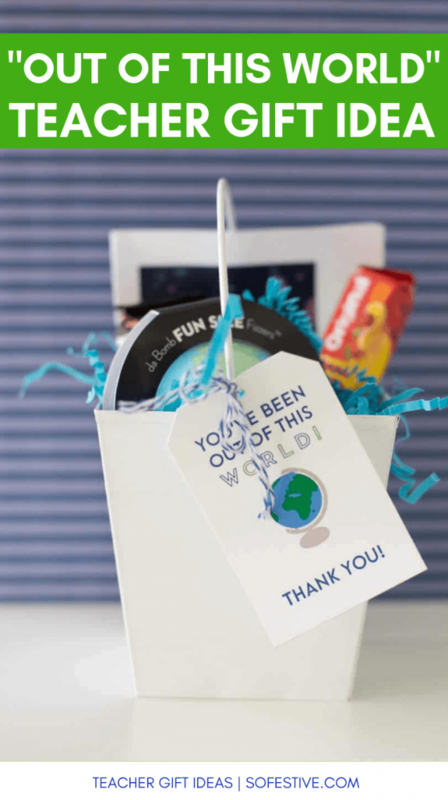 If your teachers have been out of this world, give them a fun space-themed/globe gift! Get all the details of this globe-themed here. 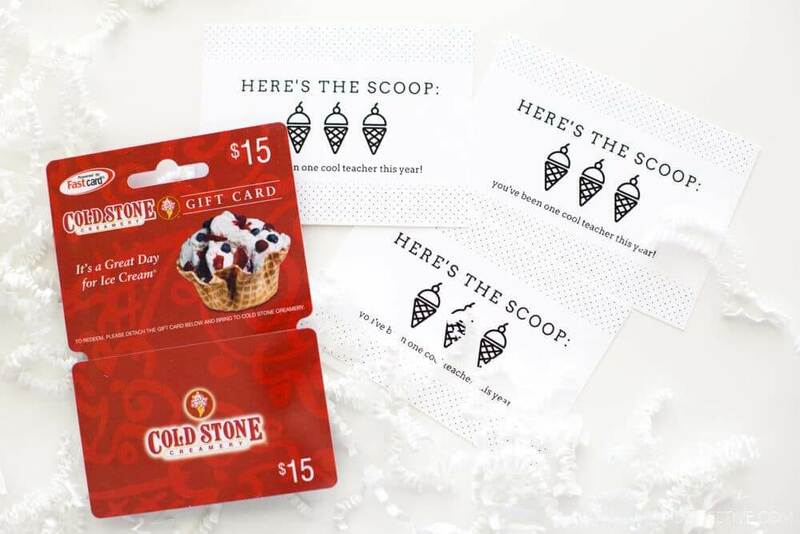 Treat your teachers with a Cold Stone Gift card and a note to let them know they’ve been cool this year! Get the tags here. Apples and teachers go together like peanut butter and jelly. 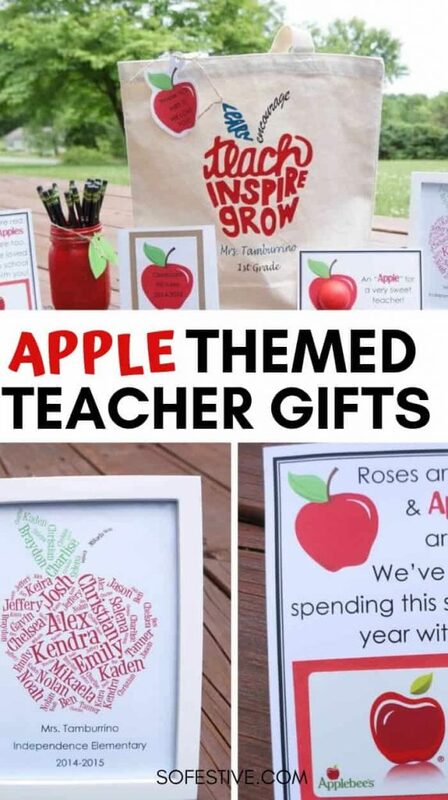 These cute classic apple-themed teacher gift ideas are personalized and thoughtful. Get all the details here. I hope these ideas will be helpful as you show appreciation to all the teachers who work so hard! Share this with your friends by pinning it!